Hotel Laguna has 6 double rooms, 1 triple room and 1 apartment, with a total capacity of 21 beds. All of the rooms are completely original and unique, and offer comfort and a cosy home atmosphere. The rooms are furnished with quality solid furniture, LCD television, storage space, a word desk with a seating area, and a private bathroom. All of them have comprehensive underfloor heating. The De Luxe rooms have balconies. For quality rest, the rooms are equipped with new mattresses with solid grates. The variability of the rooms also offers accommodation for one person, or the option of extra beds so several persons can stay at the same time. 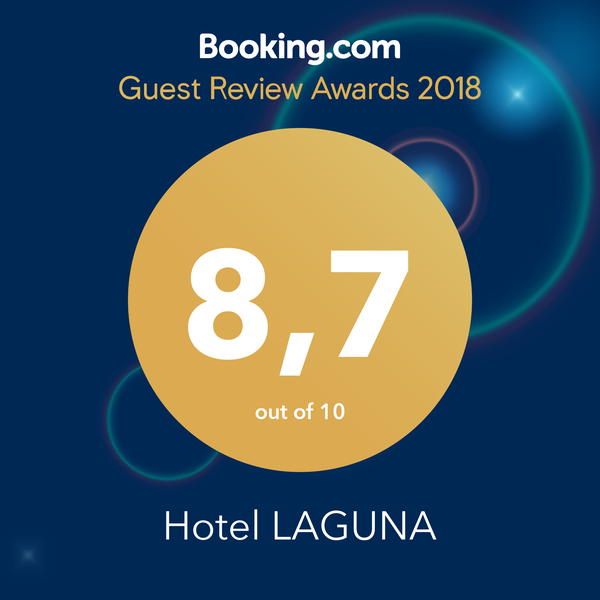 Accommodation in Hotel Laguna is suitable for both short-term and long-term stays.